Vacation planning? 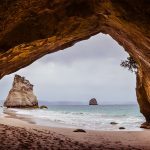 There are so many spectacular places to see in New Zealand and most of them are accessible by road. So if you’re adventurous and enjoy leisurely drives, then a self-drive vacation is for you! All-Inclusive Vacation Packages & Escorted Tours to New Zealand. The Best Vacation Packages & Tours from New Zealand travel experts. Tour the glaciers, volcanoes, see unique wildlife, rainforests, mountains & fjords. Customize your Vacation! Tell us what you want – travel dates, trip length & tour interests – then we’ll design your perfect travel package to New Zealand, Australia or the South Pacific. Curious? Sign-up to receive our vacation deals to New Zealand, travel tips, special events, announcements & the occasional joke or two.